PLEASANTON, Calif., June 13, 2018 – 2018 marks Reborn Cabinets’ 35th year in business – that’s over three decades of twists and turns, distinct accomplishments and unavoidable failures. But without persistence, dedication and learning from its past, Reborn would not be the nationally recognized company that it is today. Suitably, Reborn Cabinets President Vince Nardo set the goal of 2018 to be “The Road Forward.” This means never looking back and keeping all eyes ahead on what is yet to come. In 1983 when Reborn was founded, Vinny and Brenda Nardo packed for California in their station wagon with their two sons Vince and Anthony and did exactly that – looked at the road forward to a better life and business opportunity. Once they arrived on the West Coast, Vinny introduced what he knew about cabinet refacing, and thus, Reborn Cabinets was founded. With an eye on a new business model, the company was destined for great success. Since then, Reborn has flourished in its industry and continues to consistently move forward. In recent years, Reborn has experienced constant expansion and growth and has even partnered with highly esteemed companies such as The Home Depot, Sam’s Club and Kohler. 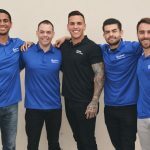 The fact that these companies trust Reborn enough to partner together speaks volumes about the accomplishments and success tied to the Reborn name. As Reborn Cabinets travels “The Road Forward,” the company continuously looks at ways to expand and build our brand. Reborn Cabinets started with a $300 table saw and a 1,200-square-foot shop, which has now turned into a 40,000-square-foot corporate office and manufacturing facility, which they will soon outgrow. The company has also established new expansion locations in Pleasanton, Torrance, Lake Forest, San Diego and Las Vegas, and looks forward to more opportunities and endeavors that Reborn will come to find in the future. Call TODAY (714) 507-1691 or apply at rebornjobs.com. 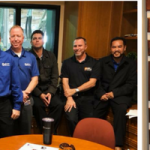 ANAHEIM, Calif., July 10, 2018 (Newswire.com) – ​Reborn Cabinets is hiring approximately 600 new team members in 2018 for its three largest emerging markets in Southern California, Northern California and Nevada to support its most aggressive growth since the company’s begging in 1983. In December 2017, the company announced its road forward, part of which was to increase major investments into employee wages, benefits, and the development of the Ultimate Work Environment. As a result, the minimum wage of Reborn’s entry-level positions has been raised to $16 in administrative positions, $15 for apprentices and $13 for warehouse respectively. Reborn Cabinets wants all team members to enjoy a comfortable lifestyle. In a part of town where $10.50 is standard for warehouse workers, Reborn is leading the way and paying a more competitive wage. It’s not where they want to be, but it’s a good start. On top of the increased wage and selection process, Reborn offers an unparalleled training and development program. Reborn University is the secret sauce that has propelled the company forward and produced undeniable results. This is a long-term commitment Reborn has worked hard to create for our ‘Winning Team’. 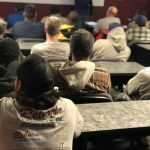 In the home remodeling industry, we believe all of our departments play a crucial role to our success with training and development is a crucial component. It’s the only way we’ve been able to keep our quality consistent, retain our employees and turn them into part of the Reborn family. Reborn Cabinets was recently named the 20th largest remodeling company in America by Remodeling Magazine, and Inc. Magazine’s Fastest 5,000 Growing Companies. On top of these awards, Reborn Cabinets also received the Torch Award for Ethics from the Better Business Bureau. Our team leverages algorithm-based selections, data analytics and award-winning training to develop, retain and expand our team. Reborn Cabinets’ Talent Acquisition Team uses state of the art recruiting tools to boost market campaigns and grow quality partnerships to keep up with the rapid growth. 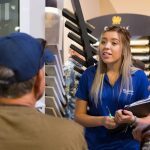 Interested in working at Reborn Cabinets? Visit www.rebornjobs.com and take a look at the 63 open positions throughout California and Nevada. Reborn Cabinets is the leader of kitchen and bath installations in the Southern California market and currently competing for the number one position in Northern California and Nevada. With over 70,000 completed jobs and 400 new jobs every month, Reborn is positioning itself to be the top 10 remodeling companies nationwide. Family owned and operated for 35 years with three generations at the helm, the Nardo Family’s unity and leadership have propelled the company forward with six brick and mortar and dozens more remote locations from San Diego to Sacramento and Las Vegas. You’re invited to attend our Outside Sales Rep Hiring Event Friday, June 29th at 11:00 am to 1:00 pm!